After identifying a lack of speakers in careers outside of traditional bench science at other career sessions, speakers with connections to the section from a wide variety of careers were invited to attend. Some of the speakers had previously completed their PhDs or Post Docs in the section of Infectious Diseases and Immunity or currently work within the section. The talks were well attended, including not just students from our own section but also some from outside the department as we decided to advertise the talks to all Department of Medicine postgraduate students. Feedback from students was very positive, and one of the speakers even remarked that they had learned something! Talks were kicked off by Dr Mick Jones, Reader in Molecular Medicine and the current section cohort leader for IDI, who highlighted how sometimes a research career doesn’t always go to plan but works out in the end. Following that, Dr Katherine Fox described her work as a Policy Officer at the Academy of Medical Sciences, and the challenges of consulting on science policies in the current post-Brexit environment. 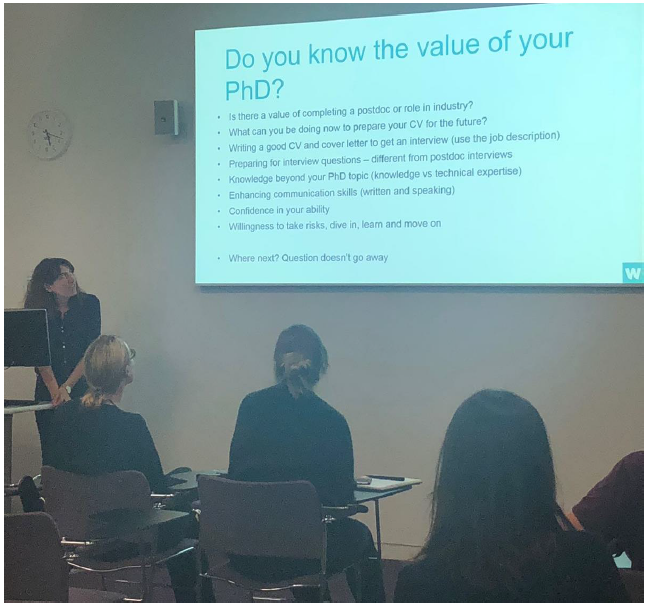 Dr Zoe Seager explained her role as the Vaccines Programme Officer at the Wellcome Trust and emphasised the importance of embracing and making opportunities for yourself. 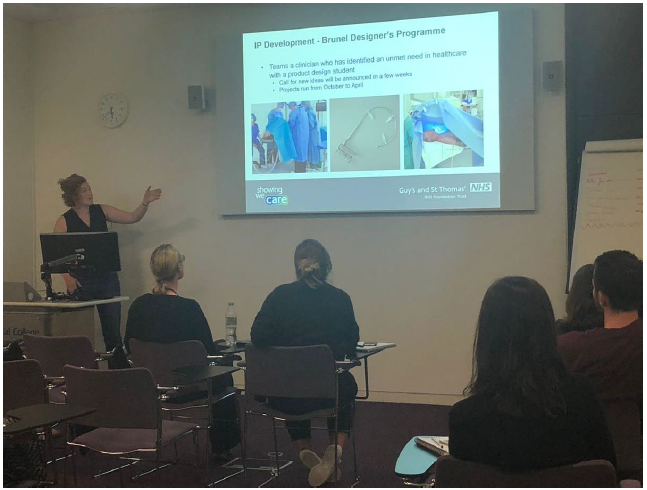 Dr Debra Smith then took us on the journey of how her career brought her to work as Senior IP and Commercial Research Manager at Guy’s and St Thomas’ NHS Trust. Finally, Dr Stephanie Ascough, who did her PhD in the section and has now returned by way of The Gambia and Pirbright, wrapped up the talks by stressing how it is essential to choose a job which allows you to maintain and pursue your own personal goals and values. 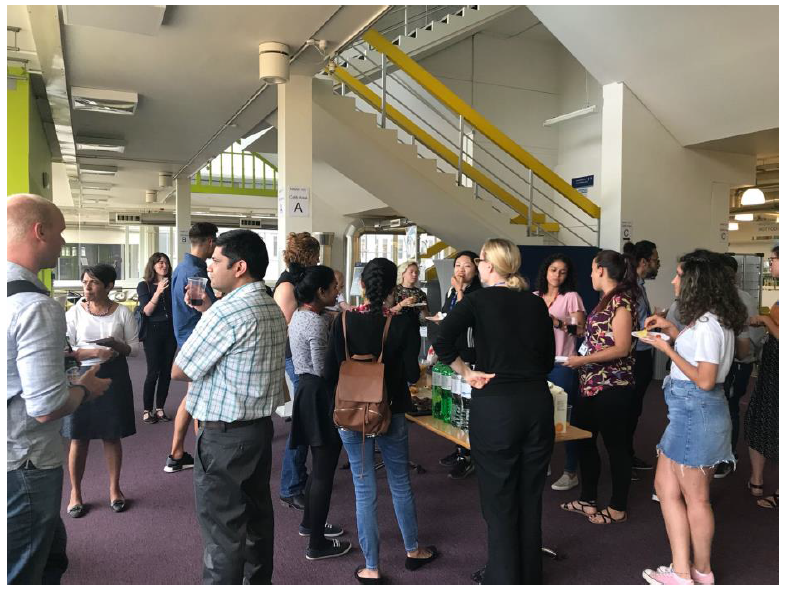 Following the talks, the entire section of Infectious Diseases and Immunity was invited for drinks and nibbles provided by the Graduate School Research Community Fund. Everyone always appreciates a chance to chat away from the lab coats and computers, especially as it had been nearly seven months since the last time we had an opportunity to come together like this. We think the event was incredibly successful, and thank the Graduate School for their support. Hopefully section events such as this will continue to be held in the future!